In terms of real estate and new home development, Chestermere is a unique market and it takes years of experience to fully understand it. The growth our town has experienced in the past several years means that on any given day, more than one new family could be moving in. Maybe they are buying your house because you are either upgrading or downsizing, or simply moving across town to meet the changing needs of your family. At some point, most of us all become homeowners which means we all will need a realtor to help us buy, or sell our home. Buying or selling your home is probably the most important transaction you will ever make and it is important to choose a realtor that will do the best job for you possible. This is where RE/Max Real Estate Advocates can help. Their local office opened in 2010 but the owners; Doug and Marjorie Mckay, have been selling homes in this area for 21 years. “Our focus is on marketing the Chestermere area, and we love what we do” says Marjorie Mckay. Often being a realtor means working alone because it is such a competitive market. But at RE/Max Advocates, it is entirely different. Comprised of eight top-producing agents in the Chestermere office, the employees all work as a team which brings many added benefits to their clients and staff. For the staff, there is no burn-out allowing them to go away on a holiday knowing and trusting that a colleague will step in to help. “It feels like family here, we love our staff and our clients become our friends” Mckay shares. Although the only store-front Real Estate office in Chestermere is relatively small in size, the owners are very proud at how technologically advanced they are. They will soon be moving to a paperless system with the benefits being that documents can all be signed electronically. For a lot of busy folk, this is important as they can now sell their house without putting their lives on hold. You can even go away on holiday while your house is listed and when the offer comes in, trust that the agents at Re/Max Advocates will take care of your interests for you. Recently, they have implemented a new feature on all their advertisements and signs; a simple text number, entered into your smartphone will instantly get any interested party more information, pictures and can even schedule an appointment to see a home for sale. The reason why the McKay’s felt it was important to have an office right here in Chestermere is for the confidentiality of their clients. Instead of meeting at a local coffee shop to do business which often means discussing personal matters, the agents at Re/Max Advocates can offer their clients the comfort and privacy they need. Many buyers to Chestermere find it beneficial to deal with a local brokerage because they are knowledgeable about Chestermere’s market. Another added benefit of dealing with RE/Max Advocated is that they live and work here, which means they support and contribute to local economy. The employees are involved in the community, and care passionately about the people. In other words, they will not disappear after the sale because they enjoy building relationships with their clients that in some cases last for generations. “We have had the unique experience of generational sales, originally selling to the grandparents, then the parents and now the grandchildren are our clients” explains Doug Mckay. The team is proud to be with the RE/Max organization because of the programs that they are able to offer their clients. Tranquilli-T is one of these programs, designed to offer you the peace of mind for your real estate transaction. It is a security, which protects you in the event your closing is delayed or the buyer dies which could cause financial hardship for you if you have already bought another home to coincide with the closing of the one you sold. Additionally, the Re/Max team also understands the importance of giving back and that is why with every sale, they support the Children’s Miracle Network, which in turn supports the Alberta Children’s Hospital. The RE/Max Advocates team truly believes they are your best alternative to buying or selling a home in Chestermere. The personalized service they offer speaks for itself. They will often take their clients out on the lake in their boat to let newcomers see how big and beautiful and clean the lake actually is. They also have developed relationships with the local banks and mortgage brokers and will refer their clients there to service their financial needs. “We will do a better job than any big name from the city” states Marjorie. For more information, visit the RE/Max Real Estate Advocates website at www.realestateadvocates.ca or call the office at 403-207-1776. 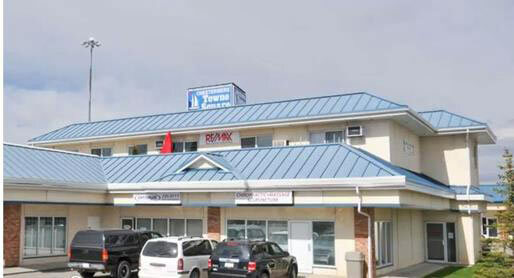 The office is located at Suite 202, 124 East Chestermere Drive.